Love this DOLCE & GABBANA Girls Mini Me LA VIE EN ROSE Wool Coat. Inspired by the D&G Women’s Roseto Fall Winter 2018 Collection. This Girls mini-me fuchsia pink coat by Dolce & Gabbana is beautifully made in a luxurious wool crêpe. There are pretty flower studs inspired by the women’s wear collection on the collar and covering the popper fastenings. It is lightly padded and lined in a silky smooth satin with a beautiful rose floral print. Complete the look with a matching DOLCE & GABBANA Girls Romantic Peony Floral headband and Brocade Peony Shoes. 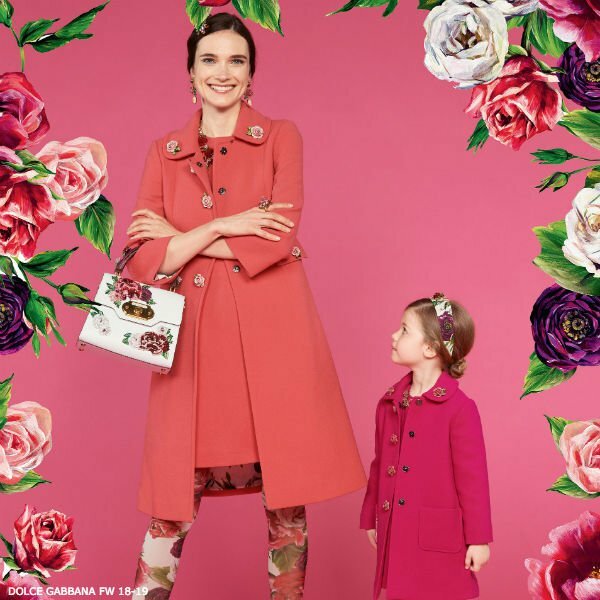 Unfortunately, this DOLCE & GABBANA Girls Mini Me LA VIE EN ROSE Wool Coat is not currently available. You can shop similar DOLCE & GABBANA Girls clothes from the current collection online.